We hear it often during industry shows. Brands are no longer selling products and services. They aim to offer customers an experience. On top of that, technology holds the promise of allowing communicators to personalize those experiences for customers. The question is how personal should those experiences be without becoming creepy? Certainly it was a personal experience Adidas offered several Coachella attendees last Friday (April 12). Adidas gave select attendees free sneakers via AirDrop. AirDrop is the Apple-exclusive app that lets you share photos and content with other Apple users as long as they're in the vicinity (sorry, Android users). Yes, AirDrop is the app that's allowed troubled souls among us to share pictures of their genitalia with nearby strangers, perhaps in a public square or a crowded subway car. No, Adidas didn't send genitalia pics at Coachella via AirDrop. Instead, it gave away free sneakers. 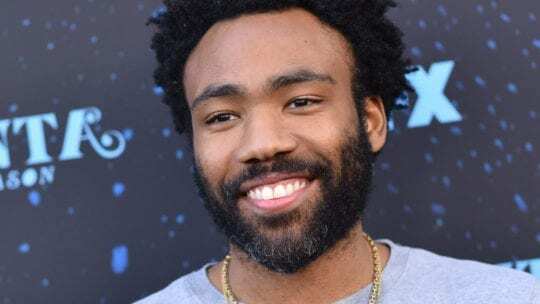 The AirDrop sender allegedly was actor/musician Donald Glover (aka Childish Gambino). Those game enough to accept the premise that Glover wanted to share an image with them reaped the benefits. The image told the trusting attendees that they'd just won a pair of Adidas. Glover designed the kicks, which the lucky attendees could claim at a nearby tent. It's a clever effort, if you don't mind the idea of Glover (or, more likely, an emissary) invading your space. As Jack Morse wrote in Mashable, "It's unclear how many people actually received the offer, but frankly even if it was just one person it's still weird as hell." Perhaps, but it's a way cool experience getting free Adidas. And it feels personal. After all, you interacted with Donald Glover. On the other hand, a story about the giveaway tarnishes the brand a bit. Apparently those accepting the free shoes were 'required' to wear them throughout the festival. While it's unclear how enforceable this contract was, if the shoes are comfortable and a conversation piece, you'd think folks would want to wear them. Speaking of marketing and space of a different kind, marketers' lust for providing unique experiences means not even the heavens are off limits. Word is that the Russian arm of Pepsi soon will use satellites to project an orbiting billboard into the atmosphere. Well, that'll be an experience for those who see it, but will it be personal, especially with so many other people nearby (some of whom might be sending images via AirDrop)? Are you like Morse of Mashable? Is it creepy that big tech offers strangers (or a celeb) the ability to send you a picture in the name of marketing just because they're nearby and your AirDrop is on? Are you cool with big tech monitoring your movements and sharing them with police? Still not worried? What about if authorities wrongly accuse you of a crime because they know, courtesy of big tech's data sharing, that you were in the area at the time the crime went down? Hope you are getting all this, communicators. Putting an acceptable face on these examples of what some call a personal experience and others dub a creepy invasion of privacy is your job. Oh, and you'll still need to work on explaining why your brand was less-than-transparent about its latest data breach.